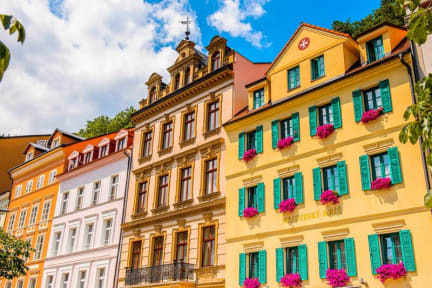 Hotel Maltezsky Kriz v Karlovy Vary, Česká republika: Zarezervujte nyní! 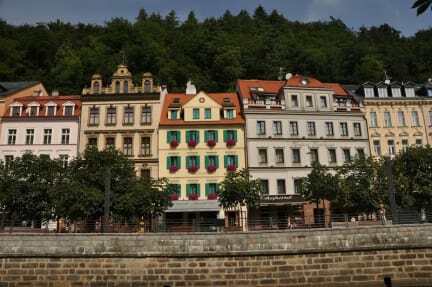 Welcome to the comfortable Maltezsky Kriz hotel (Maltese Cross) which is situated on the banks of the river Tepla (Warm) in the heart of Karlovy Vary. The house was built in 1706 and is the oldest half-timbered house in the whole colonade Stara Louka (Old Meadow). On the walls, even after a complete renovation in 2003 we preserved the historic wall murals and half-timbered walls.